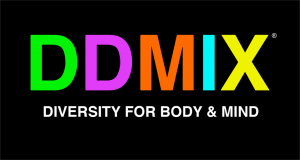 DDMIX is a dance-based fitness programme created by Darcey Bussell and Nathan Clarke. Bev-Lyn sessions will start in September 2017 but we are running ‘taster’ sessions on Wednesday 5th, 12th and 19th July, 7:30pm to 8:30pm. Classes are £5 and we are expecting high demand so book your place by emailing melissa@bevlyndance.co.uk. We have a passion for dance-based fitness and believe the best way of getting fit is by doing something you enjoy. By participating in dance, you can achieve your goals by not looking upon exercise as a chore. We love group exercise classes with non-correctional instruction, that are fun and all inclusive. Darcey wanted to create a program using segments of dance from around the world, providing great variety with a western touch. Given her deep interest in all forms of dance and having danced nearly all genres from her classical ballet base, the DDMIX adventure began. She contacted her good friend and talented choreographer and dancer Nathan Clarke, with whom she has worked on Viva La Diva, Darcey Dances Hollywood and the closing ceremony of the London Olympics. On hearing her idea Nathan agreed to join Darcey and they started working on the choreography for the first DDMIX. The official DDMIX website is here.